Following this morning’s Slogpost about the dearth of Greek-origin euronotes (Y) and the torrent of new German versions (X) across the EU at the moment, I have been in contact with my regular Brussels informant. Since appearing, the piece that went up this morning has evoked a mass of emails to my Slog address, all of which have enabled further quantification of the fact that German notes are dominating supplies at the minute, while Greek versions are disappearing fast. I suggested that surely he meant “if and when”. After a brief silence, he added, “I doubt if the ECB and Berlin would’ve gone to these lengths if they didn’t feel that an exit is inevitable”. I have to say that surprises me. I stick to my view that Berlin would do almost anything to avoid that exit, but at the same time – on the German principle of ‘immer alles klar’ – this has all the hallmarks of a contingency plan – nothing more, necessarily: after all, the notes are of equal value – and being replaced (allegedly) in balance. But sources, as we all know, are not always right in their interpretations. In this case, however, the Slog mole is sure of his facts regarding the operation itself. Not sure I’d agree with that either, although some observers today are suggesting that the markets will see the final exit of Greece as a relief. (With Spain and Italy yet to come, they shouldn’t see it as a relief so much as a trailer, but I don’t pretend to understand the minds of these people any more). Blimey. Something to chew on over the weekend, this one. 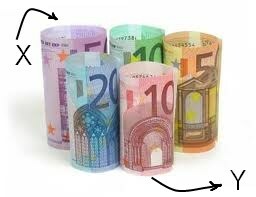 This entry was posted in Article, Links, reblog and tagged 18 May, 2012, Berlin, Brussels, ECB Withdrawing Greek Notes (Y), European Central Bank, European Union, Exclusive : Euro Banknotes Update : Berlin Printing New Euronotes (X) En Masse, Greece, John Ward. Bookmark the permalink.